What is virtual divorce mediation? 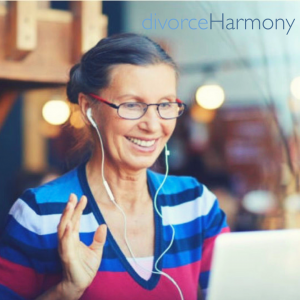 At Divorce Harmony, many of our mediations are performed virtually, meaning we “facetime” or conference call with the parties. All of the benefits of traditional mediation are preserved. We have seen first hand how successful this method is and would like to share with you the many perks of this practice. 1. Ease of Access-in our increasingly advanced world, mediating virtually isn’t so difficult even for the most technologically challenged. Conducting a virtual mediation with your ex is much easier than having to get in your car and traveling to an office. All you need is a a phone or a computer with high speed internet access. You set the schedule according to your timetable. 2. Faster-First, it’s faster because we are able to schedule the mediation in a matter of one to two days. It’s much easier to carve out an hour or two when we know it can be done online. This is particularly valuable to busy individuals with a full work and personal schedule. Second, the process itself is faster since any documents needed can be emailed immediately, and when a settlement is reached, the parties receive the settlement papers almost instantly. 3. Convenience-virtual mediation allows the parties to mediate from the comfort of their own home, car or any other private place they desire without having to drive somewhere, fight traffic and sit in a waiting room while the anxiety builds up. 4. When Traditional Mediation Is Not An Option-for parties that are immobile for health reasons or if the parties live in separate states, virtual divorce mediation is a great option since the parties may not be able to mediate otherwise. 5. Power Issues-if one side, feels intimidated or uncomfortable being in the same room as their ex, mediating virtually can empower them to speak freely since they are not physically in the same place. 6. More Success-if a couple has a contentious divorce and the sight of the other makes them so angry they can’t contain themselves, virtual mediation can be instrumental in a successful settlement. If the couples have strong feelings but they also understand the value of mediation and want to save money and time, they may still want to try mediation. If they can do it virtually without having to be in the same room as their ex, this can help tremendously with the mediation process. 7. More Choices-mediating virtually means you have a wider selection of mediators. you are not constrained by the mediators in your local area. This is a great thing! Now anyone can mediate and couples can choose who they are most comfortable with. 8. Price-The hourly fees of virtual mediators are generally much lower since the overhead costs associated with traditional mediation are not present. Also, the costs to the clients time is a value. They do not have to take off work or find babysitters. We mediate when they can, whether it’s evening or weekend hours. Essentially, virtual divorce mediation provides a “user-friendly” experience that empowers the parties to resolve their differences in a comfortable setting with as little hassle as possible! Please visit divorceharmony.com to learn more.